Outlets: 3 Electrical outlets required. Froggy Hops provides a 12 gauge outdoor extension cord that is 100 feet long for each inflatable. This is included for FREE with every inflatable rental! Reserving these individual pieces would cost $828.00. Reserve this Package Deal online and SAVE $149.00! Froggy Hops specializes in the organization of events of all sizes! 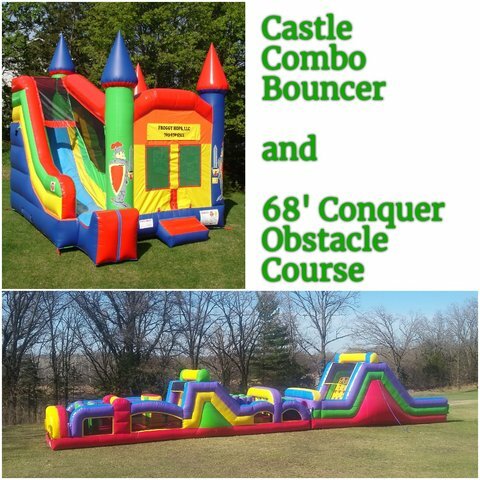 We have tons of experience working with local schools, non-profits, and churches for carnivals, picnics, fundraisers, and more! We offer FREE delivery to most of the Twin Cities metro and FREE set-up and take-down (even indoors!). We encourage you to consider including Froggy Hops inflatables at your upcoming event! Customized quotes are FREE!